Try out new Taylor and Francis (Routledge) e-books for a year! The library is doing a new Evidence Based Selection program with Taylor and Francis. Students and faculty can use an extensive list of high quality, academic ebooks during 2019. At the end of the year, we'll decide which ones to buy. 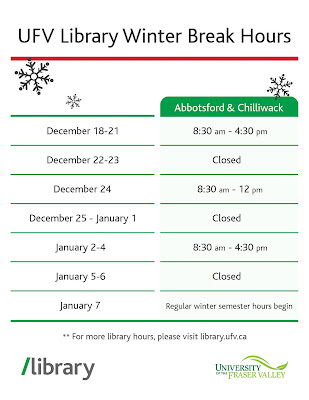 As classes and exams wind up, the libraries will shift hours for the break between semesters. 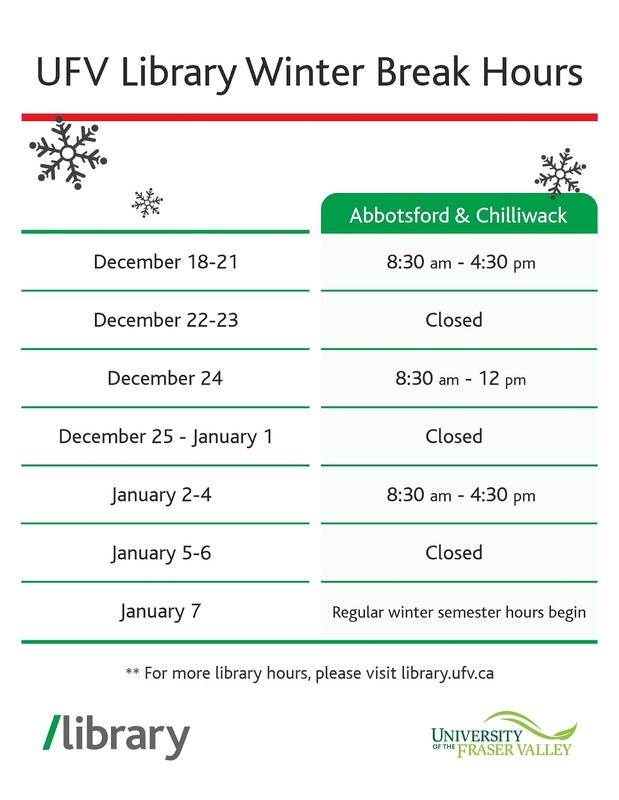 Click here to see the hours for both Chilliwack and Abbotsford. We will return to our regular hours on January 7th.